Personas contain all sorts of information that you should ideally always keep at hand when mapping out their journey. 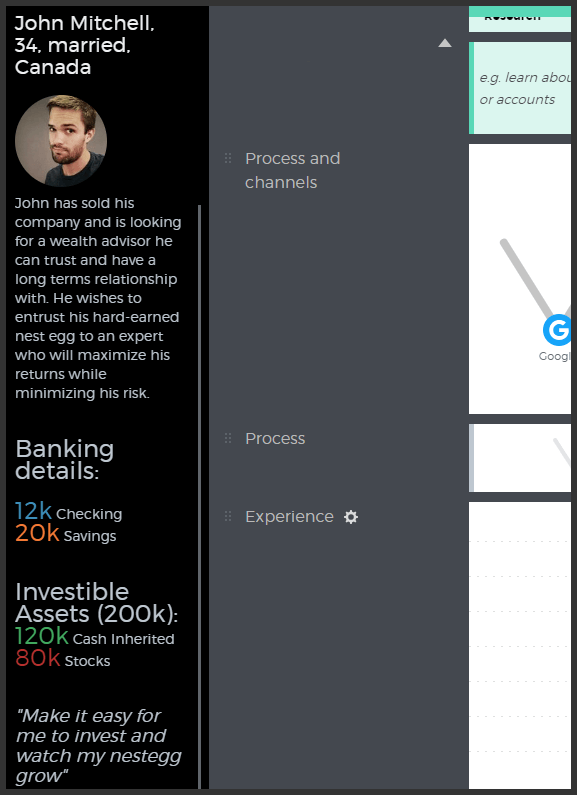 However, showing the entire persona next to a journey map is an overkill. What you want to do when journey mapping is to make sure that the most important data on your customer personas is always in your sight. This way you can always take a glance at it and remind yourself who you are building this CJM for. Besides, it’s a good way to create a CJM without personas in case you don’t have enough time to create a full-blown persona. 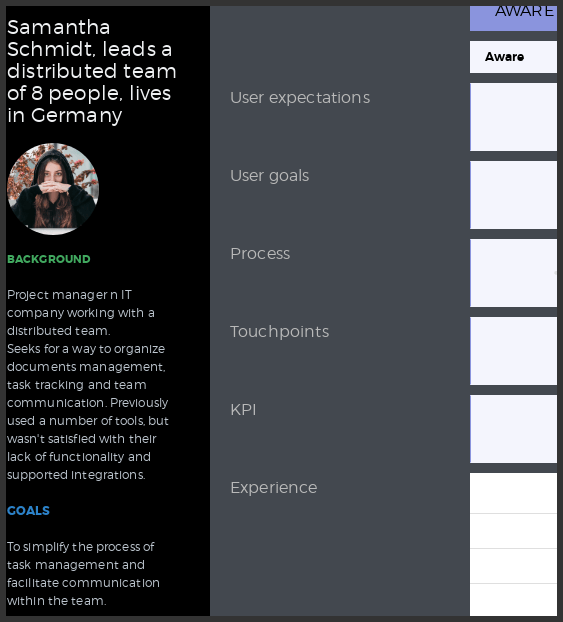 Now, what can you show next to a journey map so it's not the entire persona, but still gives enough background for your map? 2 Who are your customers? 3 What do they aim for? 4 Let your customers speak! It may be a good idea to include the basic demographic data on your persona: age range, marital status, children. Just make sure the data is relevant to your product and in line with the name and the photo. 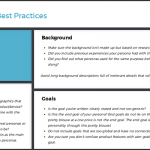 Persona background tells a story about your personas, how they came to using your product and what they used for the same purpose before your product came along. When writing your personas’ backgrounds, avoid long descriptions full of irrelevant details that will just clutter your working area. Also, make sure the background isn’t made up but based on research data. Goals are actually why customers “hire” your products. Keeping them at hand will always remind you of the big WHY behind the journey. Why the customer is taking this path and what they want to achieve in the end. When writing the goals, make sure they are clearly stated and not too generic. Avoid goals that are too global and have no connection to the product. Also, make sure to include the end goals of your persona. It’s usually not that easy to do, as end goals do not lie on the surface. E.g. buying a well-functioning software at a low price is no the end goal. 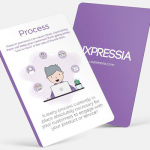 The end goal is to simplify the process of task management and facilitate communication within the team. Add a real quote of what your customers say about you. This can be quotes from an interview or support request. It can be a comment from social media for that matter. If you listen to your customer attentively enough, you can derive a good number of insights about your product and what you should do with it to win customer loyalty. A project goal is what you hope to achieve when mapping your customer journeys. 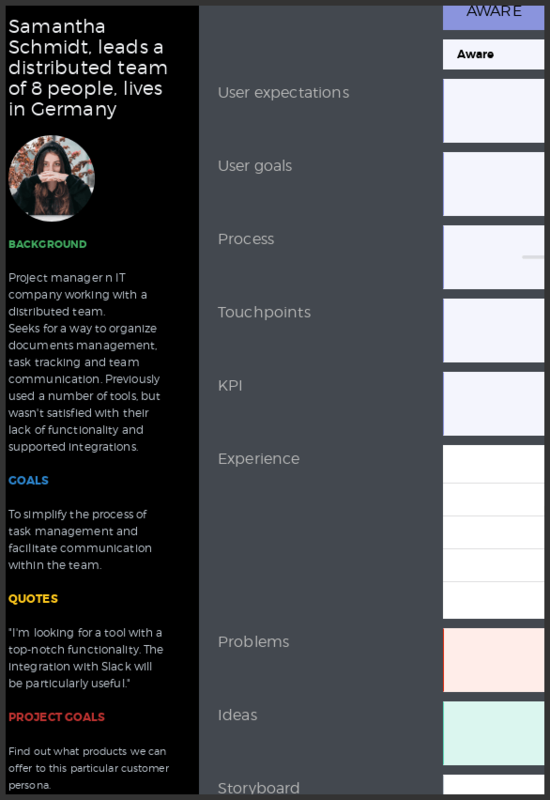 Here are a few sound goals you may set for yourself: getting a better understanding of your customer, identifying pain points, fixing the user journey, eliminating silos in the team and others. Make sure to put this all next to your journey map. 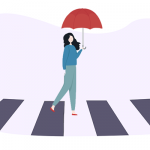 Your products or services are likely to have multiple variations for personas with different budgets, so this may be an important piece of information when mapping out a customer journey. 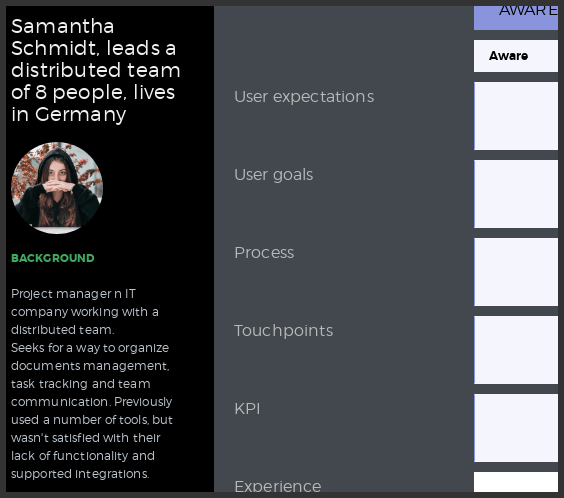 If you map out your customer journeys in UXPressia, you can use our persona panel to capture all that information. 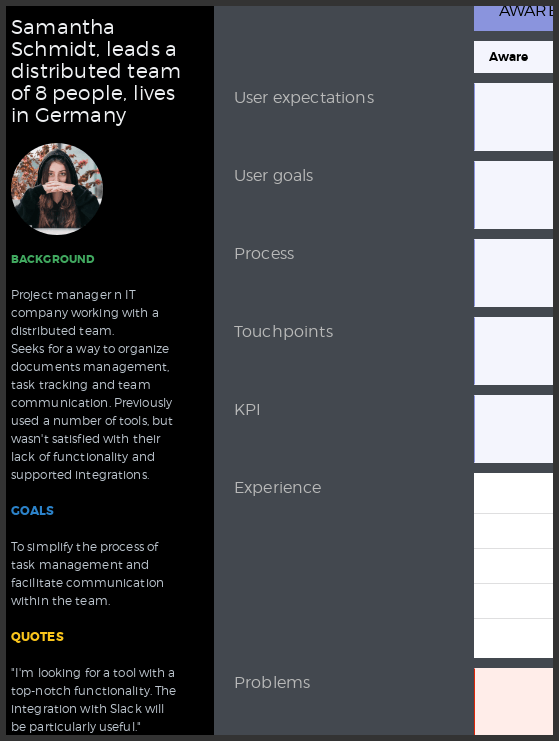 It automatically pulls the entire background section of your persona right into your journey map. Knowing this, you can keep at hand any information that you find useful for your customer journey mapping.